Wed., April 6, 2016, 12:11 p.m.
More than 100 organized riding events have been compiled in the 2016 Northwest Bicycling Events Calendar under Rich’s Links. Listings include convenient hot links to more information and event registration, as well as access to racing and cycling groups in the region. Find it at spokesman.com/outdoors. The bicycling season shifts into another gear this month. After just a couple organized cycling events on the list in March, April sees about 10 and the number climbs to about 15 in May. The biggest April event in the area is one that will pay off all season for some riders. 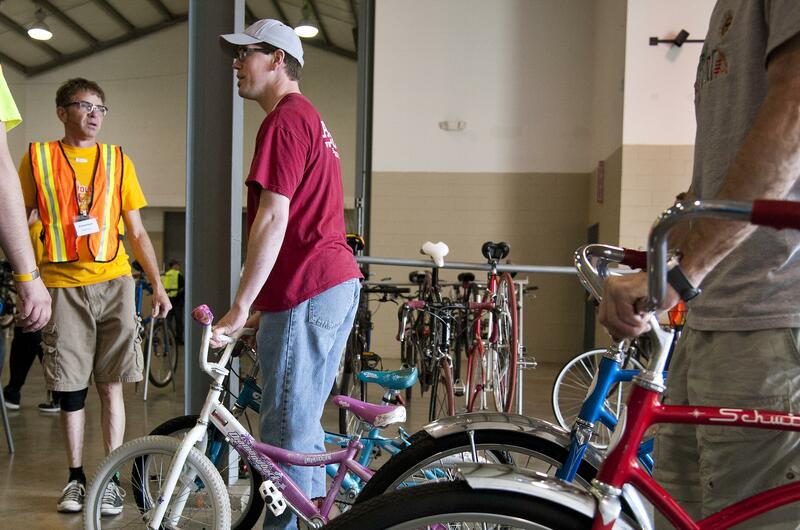 The Spokane Bike Swap is set for Saturday 9 a.m.-5 p.m. at Spokane County Fair & Expo Center. Bring bikes to sell on consignment on Friday, 3 p.m.-8 p.m. Expedite the process by preregistering bikes for sale at SpokaneBikeSwap.com. Bikes also can be donated for sale at the swap. All profits from the event are for the projects organized by the Friends of the Spokane River Centennial Trail. Bikes can be purchased on Saturday. Organizers expect nearly 900 used bikes to be offered for sale. Admission to the Bike Swap is $5. However, kids under 13 get free admission. In addition, kids under 15 who purchase a bike at the Bike Corral get a free helmet while supplies last. Bike maintenance classes will be offered at 11 a.m. and 2 p.m. during the swap. Free professional bicycle fittings will be offered by Rockwood Physical Therapy. Prizes will be offered through the swap and more than 50 exhibitors will have booths or displays along with bike shops offering new bike models. Here’s a sampling of other regional bike events in the area from the S-R’s 2016 Northwest Bicycling Events Calendar. The Lilac Century is sponsored by Aurora Northwest Rotary. Cost is $40-$50 if you register early to benefit Rotary charity programs. Same-day registrations are accepted at a slightly higher fee. The annual Northwest Crank out of Wenatchee on April 28-May 1 features at least two rides each day including a RUSA Brevet (challenging ride with time limits at point stations), an adventure series and contests. The Crank is sponsored by Seattle International Randonneurs. Cost is $100 for four days and banquet, or $25 daily. Published: April 6, 2016, 12:11 p.m.